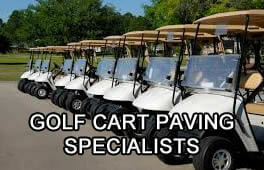 Complete driveway and parking lot asphalt sealcoating services. Asphalt sealcoating, when applied on a regular basis, can be one of the key things you can do to properly maintain your asphalt surfaces and keep them looking pristine. Everyone thinks of maintaining other exterior parts of your home or business like roofing, landscaping, and siding or paint, but your blacktop pavement also requires regular maintenance. The professionals at Patriot Paving know that the barrier created from sealcoating is one of the best ways to protect your asphalt to keep your maintenance at a minimum. Asphalt sealcoating also isn't just for large scale asphalt surfaces, even single car driveways and asphalt pathways can be damaged from the weather and various liquids. This is why regular maintenance for your asphalt, no matter the size of the surface, is very important to keep your asphalt in great condition. It is also important to choose a contractor that understands the local climate so they can recommend the most appropriate sealcoating schedule to properly maintain your asphalt surfaces. We cover the majority of Wisconsin including but not limited to the following cities: Baraboo, Beloit, Dodgeville, Janesville, La Crosse, Madison, Mauston, Middleton,	Mineral Point, Platteville, Portage, Prairie du Chien, Reedsburg, Richland Center, Sun Prairie, Tomah, Viroqua and the Wisconsin Dells.